My husband and I had been debating a pool for quite some time. We had never purchased a home with a pool because I was in utter fear of our children drowning, but as they got older and learned how to swim, I realized the value in having our own backyard Oasis. Nonetheless, deciding to install a pool in our backyard was a huge decision and much bigger than installing a pond. We were not only putting our money in our backyard, but quite a lot of it. And with really very little monetary value brought to a home over a pool, we had to decide if using the pool would outweigh the costs associated with it. In the end, we moved ahead with our plan and its been an interesting road along the way. 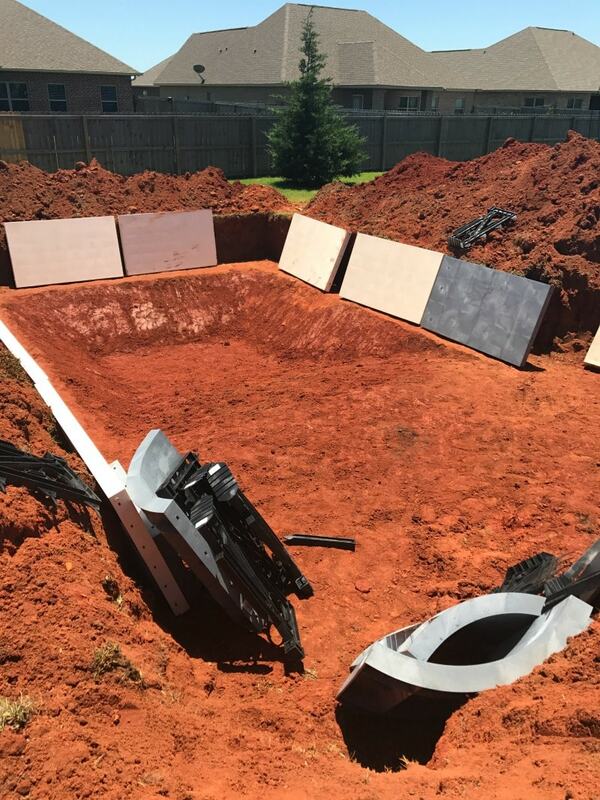 Due to our experience this summer with installing an in-ground pool, I wanted to share some things for those that may be considering the same decisions. 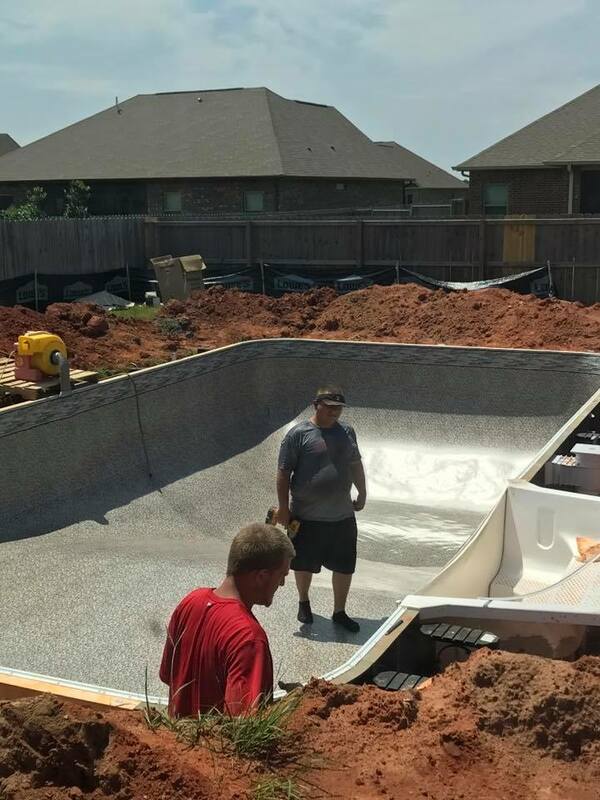 If you want to see pictures of our pool installation, scroll to bottom of article. 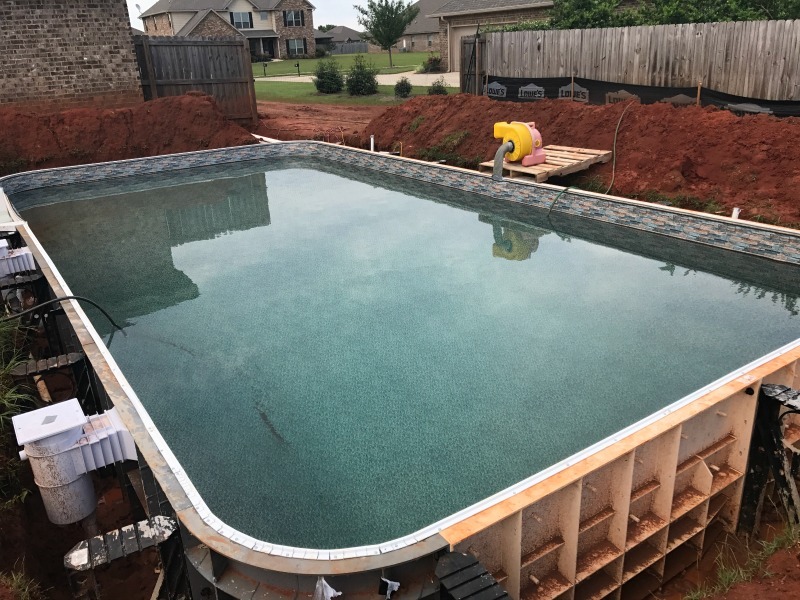 Pool Installation Cost (loans): The first thing we had to decide when buying a pool was not only our budget but how we were going to pay for the pool. When it comes to budget, we found in our area that pools ran anywhere from about $30,00-$50,000 for a backyard pool. In your area that cost could fluctuate greatly depending on materials and demand. Additionally, paying for the pool came in only three ways: Cash, Personal Loan or Home Equity loan. The positives to using cash if you have it is no interest. The cost of the pool is just that. Its also done in one shot so you do not have to worry about payments. You own it outright. When it comes to loans we found there were two types: Personal Loan or Home Equity line. If you are lucky enough to have equity in your home and want to go that route, just know that most Home Equity loans we called about only let you borrow up to about 80% of your equity. That means if you have 30K in equity, the loan will only let you borrow $24,000. We are new to our house and unfortunately borrowing against us minus the whole formula they use, would equal out only about $12,000 for that loan- plus interest of course. Personal loans were far worse. The interest rate was high (even with immaculate credit) and the borrowing times were fast. Everywhere I talked to wanted to know if we owned something for collator to secure the loan. Without it, interest rates were high and again, that’s with a credit rating over 800. For as fast as the loan terms were, there was no point in paying the super high interest. In the end, as painful as it was, we opted to pay cash. Note: Our contract was written out to pay in installments as work was done on the pool. Make sure you never give a contractor a full amount of cash before completing a job. Look over your contract carefully. HOA rules: Second in our decision was to clarify our neighborhoods rules. 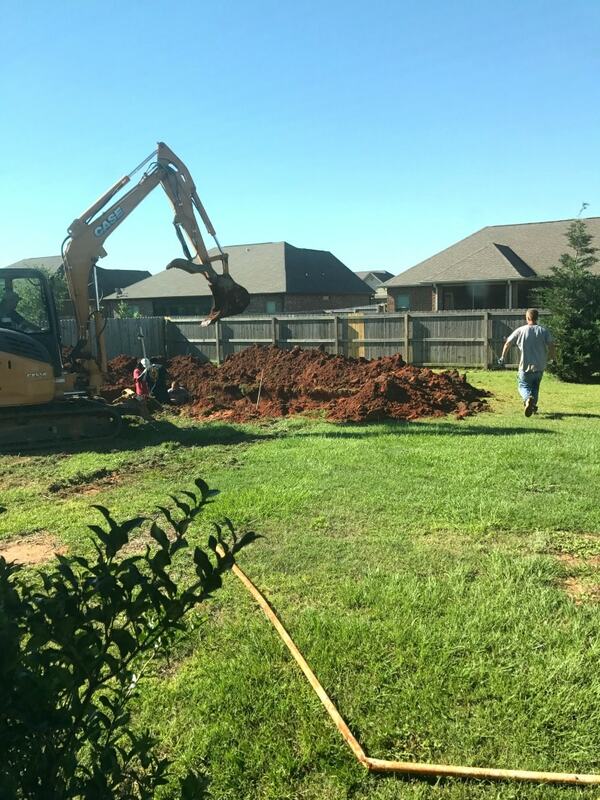 We could not pick a pool or install one without following a set of rules, including our backyard being looked at by our HOA for drainage. Remember that when you start to dig and install, it changes the slope and run off. We found that our rules required a 20 foot off the fence rule. Additionally we had to apply for variances to move our fence so our pump could be in our backyard and not exposed on the side of the house. Let me also add that your city will have rules as well. Interviewing Companies: In our search for a pool, we interviewed a lot of companies. Some showed up and talked to me and built a pool right at my table with fancy software. Some came, measured the yard, and then emailed me back with a quote and pictures of what it would look like. Still others simply drew by hand and gave me costs based on feet or square feet. I cant say one was better than the other however the ones that took the information home and waited 3-4 days before sending a quote, I did find frustrating. I interviewed 5 companies before I found the right fit for our budget. Let me add that every pool company has their opinion on what is best for your yard, the location, and even the pump and lighting you should use. Make sure you know your own budget and where you want to do the installation and stick to what you want. We had quotes that literally ran $10,000 difference for almost identical materials. Extras (fountains, lights, pump): Pool costs can add up QUICK. There tended to be a basic starting costs a company would have but adding any extra lights, flow, pavers, fountains- it all changed your quote by $500 a pop. We personally decided not to overdo our pool with tons of extras. We chose simple lights, vinyl over gunite or fiberglass and concrete over pavers. Again, we are more budget conscious and didn’t want to keep adding on. Yard: Your yard will get DESTROYED. I don’t mean you have a little hole. I mean absolutely devastatingly destroyed. We had a choice to have the trucks run up our driveway, but that meant a potential of cracking our driveway. We decided to let them go through the grass and take down the fence on the side of the yard the pool was placed on. Currently we have tracks everywhere that mean sod or seeding. In our area, red clay is under the ground and it stains everything. For 6 weeks our pets and kids have been tracking in red clay on our couch, rugs, back porch- its a nonstop clean up. Timing: I heard everything from pool companies…from 10 days to 6 weeks. 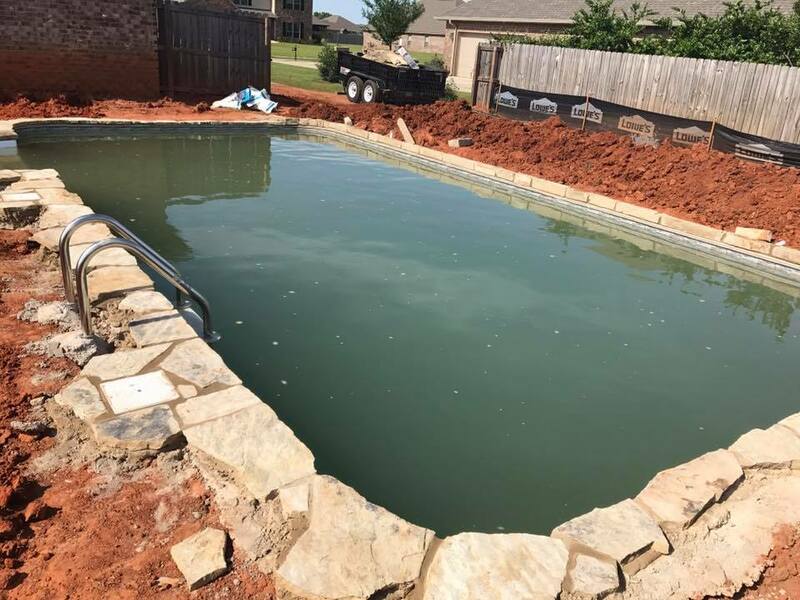 Some companies build pools with more than one crew, some do one pool at a time but ALL hire subcontracting crews to work. Which means we were at the mercy of their other projects and each subcontractor. Whatever they say it will take to do your yard (if they even commit to a time) add 3 weeks onto it. If you are planning on getting a pool by a certain date, just don’t. We hired in April, it was started at the end of May and now is approaching end of June and still being done. Weather: The pool can’t move if the weather is crap. Meaning that no one can lay concrete, gunite, vinyl or stone in the rain. We have been raining NONSTOP this summer. Its never happened before, or at least for a long time, and it has prevented our crew from coming out. We had one entire week we saw no one, and understandably so. As it rains, other jobs get backed up and rentals for backhoes and concrete trucks also get behind. It becomes one big competition to get people back out on a sunny day. All I can say here is have super patience. Concrete vs pavers: This is a personal choice and I have seen pavers and they are indeed gorgeous. We found we could afford more space with concrete and so decided to go that route. Our installer is curving the concrete to allow for some extra beauty in the design. Don’t discount getting concrete. 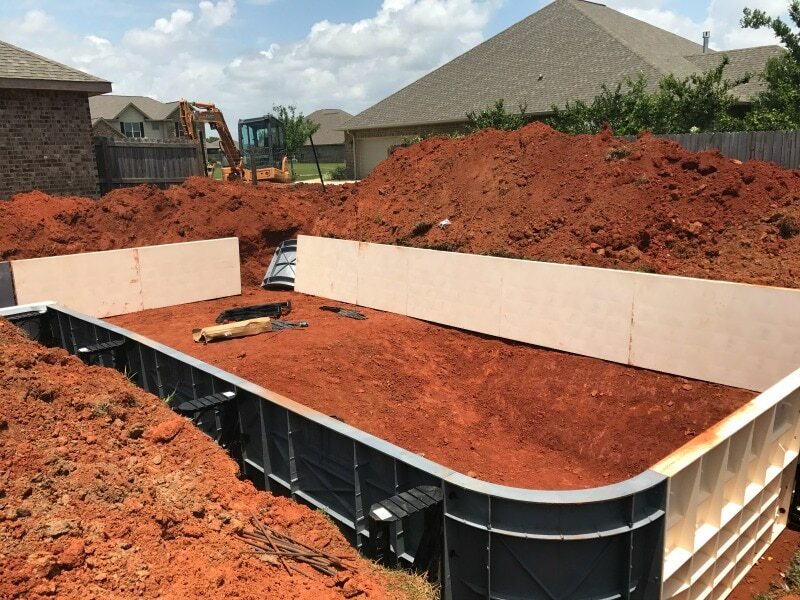 After Costs to consider: The biggest after cost you have to consider when installing a pool is that your yard will be destroyed. Our extra costs will be coming from sod and landscaping just to get it back up to speed. 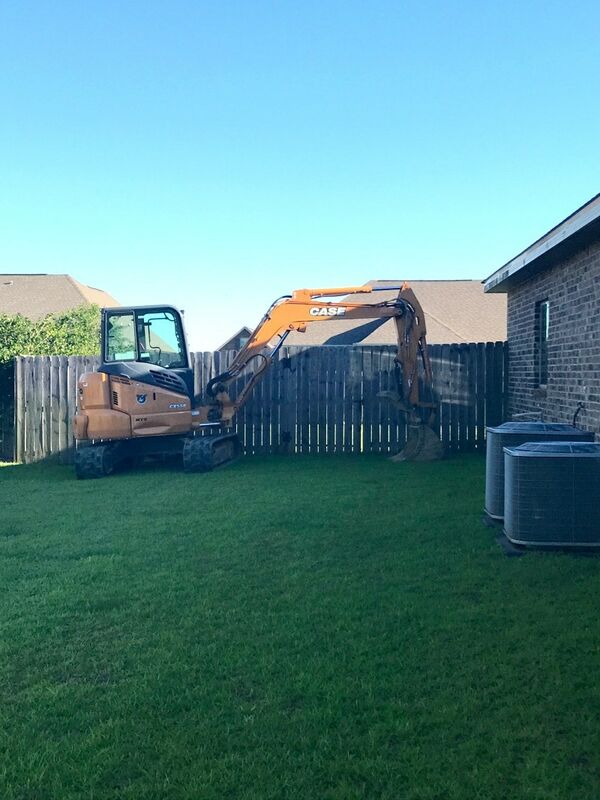 We also have an extra cost in fence expansion, you will need a pool cleaner, a skimmer , seating for your pool, and of course any safety measures you add like a pool alarm or a pool fence . These costs, specifically a pool cleaner, seriously add up. You will also have to consider the uptick in electricity, water, and pool maintenance fees. I will update this post once we have made all our purchases to show you what we chose. Insurance: You will need to check in with your home owners insurance to find out your rules. Ours, for example, could not have a diving board or slide. 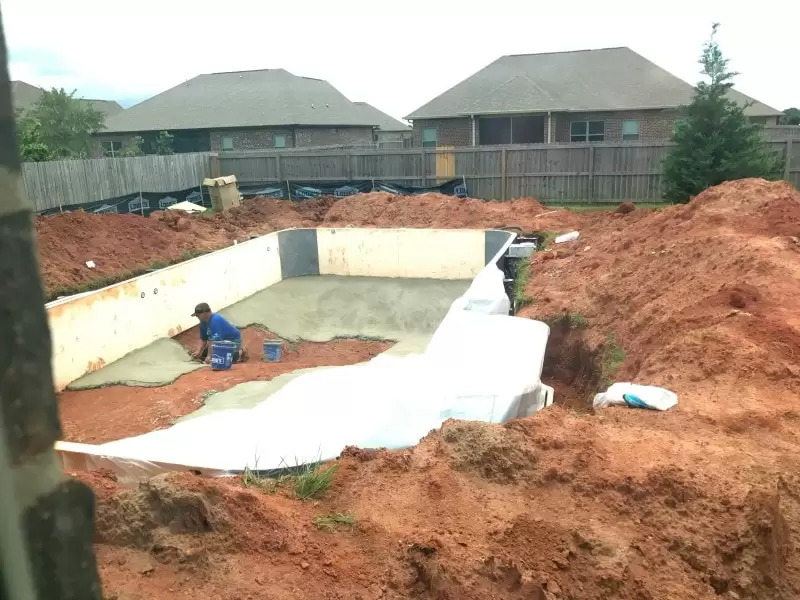 But the good news is that by connecting our concrete to our existing back porch, made it part of the home structure which required no additional insurance for installing a pool. Lifestyle: In the end we decided that paying for a pool would pay for itself in the years to come. While it isn’t dollar for dollar on our home worth, its slowly adding a place for us to gather as a family and with friends. If we have to cut back on vacations for a few years, we feel the overall value of being together and also exercising is worth it. I have been documenting our pool as its been built. 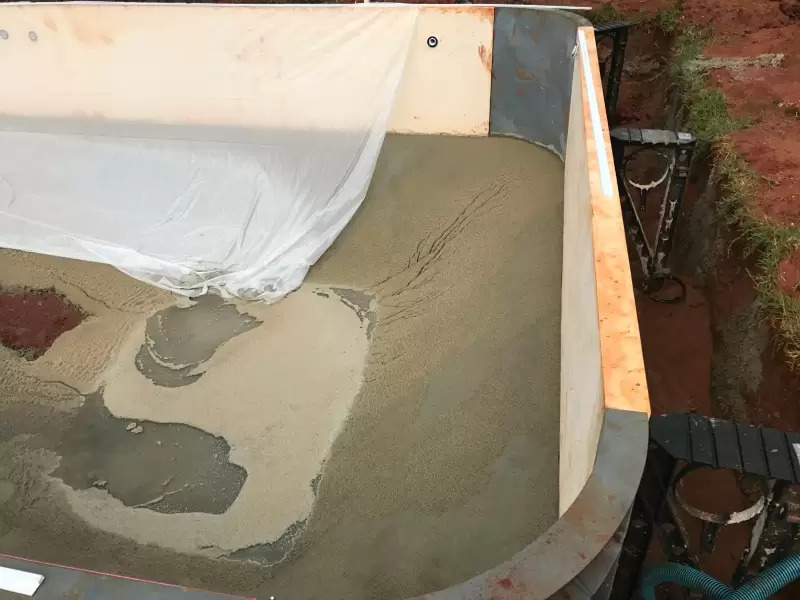 Here is what to expect on a vinyl pool installation. First they dropped off equipment. Exciting. Then came the rain..we made the most of our mud pit. 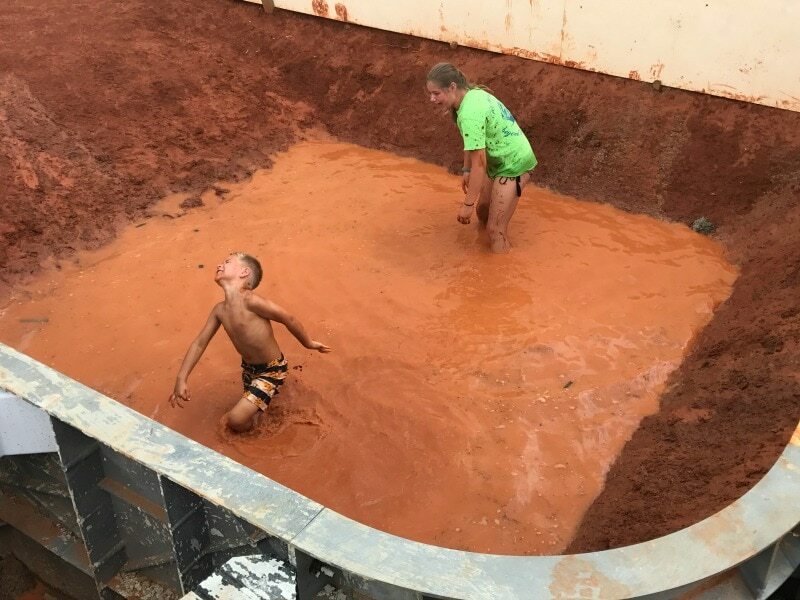 Now they filled it up – this took two days and two hoses -its starting to look like a pool! Now the electrical work was done and the stone was installed. This is the stage we are at now. Next will come a pool cleaning, a code inspection and concrete pad.